Q: Dr. Petti, what procedure or procedures do you recommend for eliminating the appearance of several unwanted fat bulges and rolls along the sides of my upper back and my lower back? A: Combining laser-assisted liposuction, Smartlipo Triplex™, with non-invasive SculpSure® may provide you with the results you are looking for. I suggest starting treatment with Smartlipo Triplex™ to eliminate excess fat and tighten stretched skin that is creating the appearance of multiple folds along your lateral and posterior back. In my 28 years of experience in plastic surgery and six years of experience with Smartlipo Triplex™, I have found that when the skin tightening and fat destroying laser settings are used together during treatment, I can achieve good results. This is especially true in the back area where the dermis is thick and can retract considerably during the healing process. From your description, it sounds like you may have multiple back rolls that are stacked vertically. 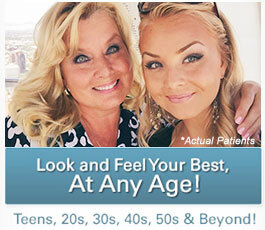 If so, you may benefit most from two Smartlipo Triplex™ sessions spaced approximately six months apart. During the second session, the laser can be used to just tighten the skin further. 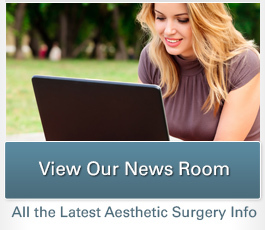 For this portion of your treatment, I would employ a minimally invasive technique that uses the incision sites from your previous Smartlipo Triplex™ session to avoid creating new scars. To achieve even better results, I may also recommend incorporating treatments with a non-invasive laser procedure called SculpSure® after you have healed from your Smartlipo Triplex™ sessions. SculpSure® can often treat the appearance of skin rolls in a 25-minute treatment session with no downtime. I have used SculpSure® to accomplish additional skin tightening and textural changes for post-op liposuction patients with very good results. While SculpSure® is not yet FDA-approved for skin tightening (it is FDA-approved for fat reduction), I, along with many other physicians who use the device, am seeing seeing some skin tightening effects accompanying SculpSure® treatment. Using SculpSure® for “skin tightening” would technically be off-label use of the device. I do not recommend using SculpSure® alone for treatment of your cosmetic concerns, as this method on its own would not be capable of achieving the significant improvements you likely desire. 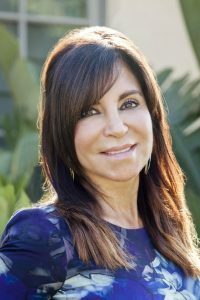 While there are other liposuction techniques available, I have found that Smartlipo Triplex™ is what works best in my hands and has been proven most effective for my patients over the years. In comparison to more traditional liposuction techniques, I highly recommend considering Smartlipo Triplex™ and SculpSure®, as combining these options can dramatically reduce the possibility of surgical deformities, create a more natural-looking outcome, and result in minimal scarring. I personally do not perform body lift or back lift procedures, as I do my best to avoid creating unsightly scars on my patients. I favor laser devices that can either be used in the operating room or non-invasively to eliminate the possibility of creating large, permanent, unsightly, and sometimes painful raised scars. It is crucial for you to understand that while you can enjoy significant improvements in the appearance of your back with the treatment plan I have recommended, you must maintain realistic expectations. If you are interested in learning more about whether Smartlipo Triplex™ and SculpSure® may be right for accomplishing your body contouring goals, please contact our practice to schedule a consultation with Dr. Petti.